Gale's new electronics lockers provides safe secure storage for today's Telecom Managers. Each lockers is 12"w x 12"d x 8'H, Built with High Grade Class 1 Steel. 16ga. Body and Door. 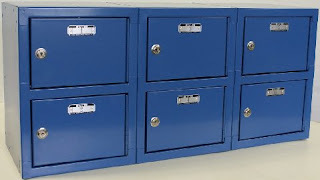 Each locker has a flush bottom with protective liner for safe and easy storage. Gale's Telecom Lockers have endless size and colors options to meet your specific needs. The cylinder security locks can be keyed different with master keys to easily manage access for management. 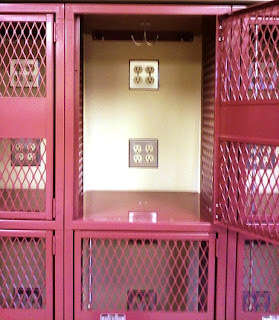 Lockers can be set up to include battery charging in every lockers. Don't see what your looking for? Contact Gale's. We will provide you with a cost effective- secure solution. #1888-6 each opening is 12"w x 12"d x 8"H.
contact Gale's Industrial today for immediate assistance.